My colleagues and I went for steamboat at Tasty Pot (wanted to go to Yuen but it was closed) about two weeks ago. Tasty Pot is just across the road from Yuen (the row of new shoplots). 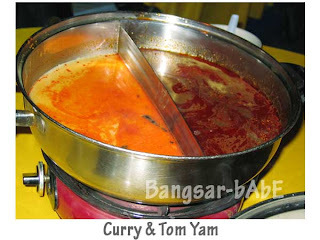 They offer 6 different types of soup base; soya, curry, tomyam, porridge, herbal and plain soup base. 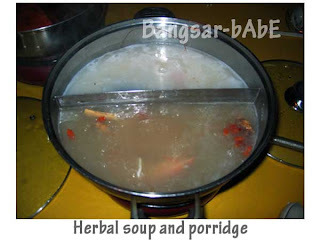 We went for the curry, herbal, tom yam and porridge soup base. 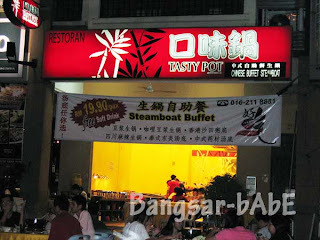 The buffet steamboat is priced at RM19.90 per person. The curry was not bad, I enjoyed it the most of the four soup base we had. 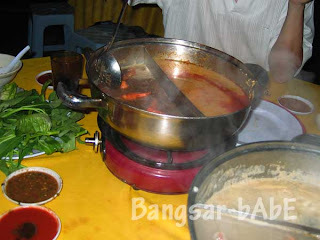 The tom yam was alright and the herbal soup was boring tasting. The porridge was awful. It kept getting burnt and stuck to the pot base so no one wanted to eat it. I found the choices VERY limited. 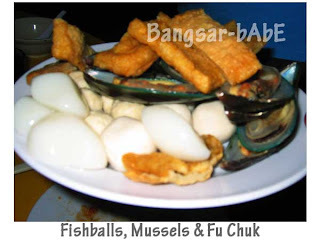 They didn’t even have bamboo lala and their mussels were pathetic. 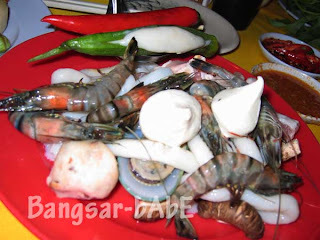 The prawns were not fresh at all….it had a powdery texture. The crabsticks tasted rotten and there were no chicken wings that night. They were slow in refilling the steamboat ingredients, unlike Yuen. No fruits, no jelly and no kuihs. Only ice cream, and limited flavours too. I’d choose Yuen over this ANYTIME. The shop was quite small so we had to sit outside the road, and it was freaking hot. To give them some credit, their chili sauces were quite nice…better than Yuen’s. Don’t remember exactly how much it cost, but I think it was RM 30 per pax (we ordered beer). Not worth your money…as they have very limited items. Verdict: Stick to Yuen buffet. Or try at your own peril. 1) stingray meat should be solid, but today is so soft and it smell funny. Not many variety to choose from. The boss told us went we were seated down that they have 150 items to choose from but on the tables is less than 100, he also said got new zealand lamb, where got need to side order. This shop is con man, why i tick on the menu chinese tea ice and it is written serve in pot but ended up they give me chinese tea ice serve in cup somemore charge us RM1 per cup. 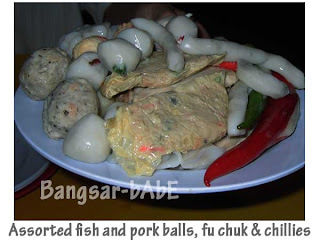 RM23.80 it is not worth it, the food quality is bad, not much choice to choose from, the service is bad, the soup base taste horrible. I better pay a little bit more can eat shabu shabu buffet.